I can’t say much about poverty in other countries, but I know quite a few things about poverty in the U.S. I also find it so interesting to hear people share when they actually realize they’re in poverty. 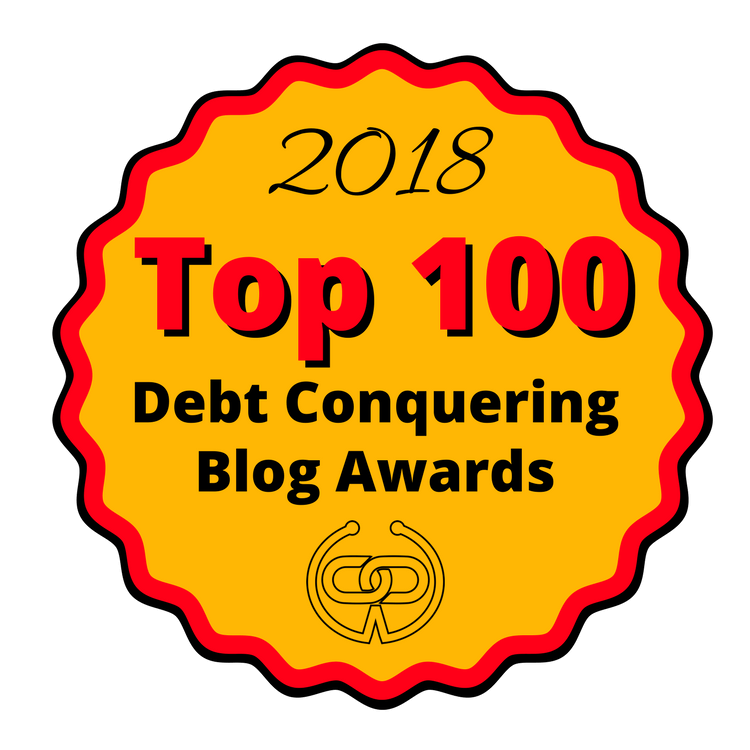 My blog is called ‘My Debt Epiphany’ after all. So I take a big interest in hearing stories about when people have that Aha! moment in regards to their financial situation. Well this is my personal story. When I was growing up, my parents had their share of financial issues. My dad worked a good job for Empire Blinds back when that was a booming company and my mom held random jobs on and off but she loved being a stay-at-home mom and raising my sister and me in between those odd jobs. At that time, it didn’t seem like we were poor, but fast forward several years, add two more kids to my family and consider the fact that my parents separated. My dad no longer had his shiny good-paying job and my mom became a single mom. Extracurricular activities and other extras stopped and life became all about merely surviving. I became pregnant in high school and graduated a semester early in January. Then, I gave birth literally five days later to my precious son. Now I was a single mom with a poverty level income that was essentially zero. A great start to a promising financial future right? How Is Poverty Defined in the U.S.? According to the U.S. Census Bureau, poverty is mainly defined by one’s income before taxes excluding capital gains and losses. Poverty income rates can vary from state to state and factors like family size, and age group play a role as well. In simpler words, living in poverty in America means you earn low wages, don’t have enough money to meet your basic needs and expenses – like paying for food and housing – , and have less opportunity than those in middle or upper classes who seem to be better off. In 2014, 46.7 million people in the United States lived in poverty. I suspect generational poverty to be the reasoning behind such a high number. People don’t just end up poor out of the blue. Often times, something goes wrong in their family’s economical system which gets passed down from generation to generation. Generational poverty refers to having lived in poverty for at least two generations. Since this is my story about my path toward financial wellness, I wanted to discuss how I broke the chains of generational poverty and found more opportunity for myself, my family, and my child. It started by attending college. My parent’s didn’t attend college and neither did their parents. Plus, their skills were limited and no one ever spoke about investing or income diversification so that knowledge was lost. Having a child at a young age motivated me to want to attend college more so I could provide for him. While I don’t believe college is the answer for everyone, it was the answer for me and provided me with the education and insight I needed to break out of poverty. I filled out a FAFSA and qualified for the maximum amount of grants each year. I gladly took out $20k in student loansto fill in the gaps and help fund my living expenses during college. For a $20k sacrifice, I gained a whole new outlook on life and tons of marketable skills and work experience. I worked two internships, studied abroad, and learned a ton of valuable information about my desired career field. By the time I graduated, I focused on diversifying my skill set to become more marketable to employers so I would be able to find a job easier. Instead of just mastering traditional journalism work, I also excelled in copy writing, public relations, marketing and communications just in case I had to go into those fields for a job. I grew up in diverse neighborhoods. I used to envy the people who grew up in the same neighborhood their entire life because my family moved constantly and it made me feel very unstable at times. I went to three high schools and one was a college prep that was located in the city of Chicago and listed as one of the 100 top schools in the U.S.
By living in so many different areas throughout the Chicagoland area, I got to meet and interact with a diverse range of people from all walks of life. On one hand I saw people struggling financially and on the other, I saw a great deal of people thriving financially so I knew I could do it too. I started studying personal finance by reading books, blogs, and other content to educate myself about everything from how to use a credit card properly to how to pay off my debt and build wealth. I felt so enlightened and equipped with the necessary tools and resources to improve my situation and pass my financial literacy down to my child. I created my first budget a few years ago, started spending less, paid off five figures of debt so far, and most important, I feel sooo much more stable. I don’t have to wonder how my bills will get paid, what will happen if I spend $20 extra on groceries and what I would do if I suddenly needed car repairs because I now have a reliable cash flow, a strong handle on my situation, and plenty of money in the bank. I may not be financially independent yet, but I feel much more free than when I was in poverty. For anyone struggling to overcome poverty or just trying to improve their financial situation, I have a few key additional tips. When your income is low, it can be holding you back from financial success. The best thing you can do is get a second job or start a side hustle to bring in extra income. Even if you only work extra hours for a few months, it can help provide you with money to put into a savings account and meet your expenses but I recommend increasing your income this way for at least a year if you can’t get a significant raise at your current job or in your field of work. When you take on additional work to earn more money, you may be pressured to revoke some government benefits like food stamps, medical and childcare assistance and so on. It can be tough to walk the thin line of barely being able to support yourself but not qualifying for any assistance because you “earn too much” but it’s so worth it. Nobody wants to be on welfare for the rest of their lives so it’s important to know when the assistance has served its’ purpose during your time of need and let it go. When you earn extra money or things start to improve, don’t inflate your lifestyle. Don’t start dining out more just because you can afford it. Don’t take that trip when you’re still battling the paycheck to paycheck cycle. It will only offer temporary relief that will cease immediately after the experience is over. Instead, focus on your ultimate goal and continue to live like you were living. Delaying your gratification for just a few more months will only make you strong and your bank account larger. Financial literacy and motivation are the key elements to overcoming poverty. Thanks to the internet, everything you need to know about money is right at your fingertips so don’t take advantage of it. Now I want to hear from you. If you’ve ever had a low income, how did you make ends meet? Also, how have you improved your financial wellness so far? Love your story, Chonce! You are such an inspiration! Thanks for these great tips and for participating. Thanks Melanie! I’m glad to be apart of it. Chonce – I don’t think I ever fully knew your background. Maybe it’s because I took such a long break from writing (and reading blogs)!I definitely want to hear more of your story and perspective. Thanks for sharing some of it today. Thanks for sharing Chonce! I have had low income, but I’ve always had my parents to back me up if I needed a place to stay or got in a really bad situation. I think that’s the difference between not having money versus dealing with a poverty situation. While I do not want to compare my situation to anyone who has low income and is struggling to get by, I can say in all honesty that we were stressed out greatly about money when we first graduated college. Our income was not enough to save an emergency fund or to hit the financial goals we thought we would have. So not only did I start a side hustle but looked to increase my 9-5 income. Fast forward 5 years later and we are in a much better spot, but it wasn’t without hours and hours of hard work. I think almost everyone has some sort of money struggles early in their adult life (unless they are extremely well off) and I agree that it takes lots of hard work to make sure things improve and don’t get worse. I love my parents but I knew I couldn’t count on them to dig me out of the whole financially so I was determined to do better for myself because there was literally no other option. I was never really in poverty because I had a good safety net, but I did live below the poverty line for several years in my early 20’s. I improved my situation by working hard in every aspect of my life. I have always had more than one job, and sometimes three jobs. Hard work is a key element. I’ve worked tirelessly these past few years and it’s certainly paid off. Love your story. I’ve been in poverty before. The struggle was real. One of the ways that I got out of it was to change my mindset. Once I did that I was able to start the grind of getting out of debt. It hasn’t been easy and I’ve made a couple mistakes, but I feel much better financially than I used to. Mindset is huge! It’s hard to work your way out of a bad financial decision but it all starts with believing that you can do better. You have such an inspiring story. Getting out of debt and reaching financial wellness takes dedication, hard work, and perseverance to continually educate yourself. Thanks Kalie! Financial education is so important. I just love your testimony, Chonce. I’m going to share with someone I know who faces similar challenges. I know they will be inspired! This is so inspiring! Thank you for sharing your story! I know it will have a positive impact on many who are struggling to get by. This is a great story! I had no idea. I work with people on public assistance and it is devestating to them when “they make too much money” and lose their benefits.